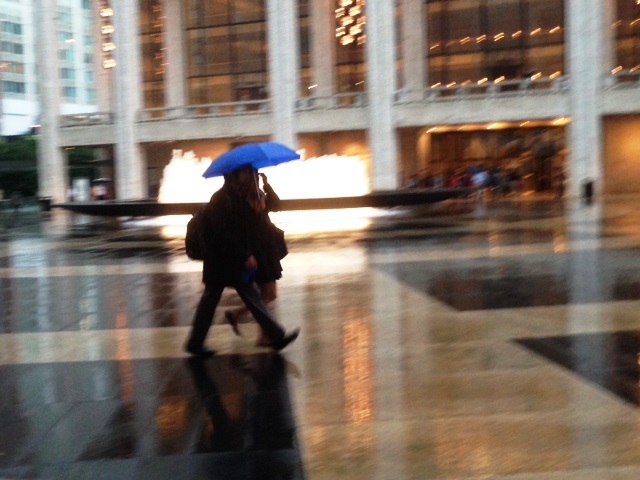 As we know, neither rain, sleet, hail nor thunderstorm will keep New Yorkers from their appointed rounds of theater, concerts or art. 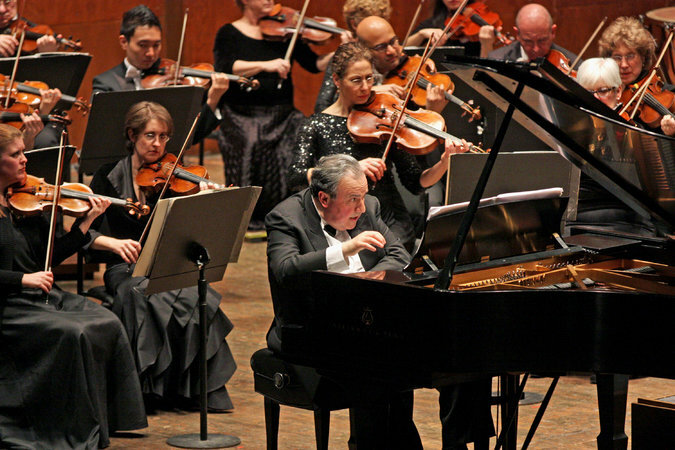 but everybody was there to hear the great Yefim Bronfman play Beethoven Piano Concertos #1 and #4. We had heard him play Rachmaninoff, Brahms and Prokofiev peerlessly but wondered how he would handle the ineffable Beethoven. We should have known, as he had studied with Rudolph Firkusny, Rudolf Serkin and Leon Fleischer, that he would render these works with respect, strength and sensitivity, but—you never know. Born in Tashkent, he emigrated to Israel, and then to the US and Juilliard. This great bear of a pianist, accustomed to covering the whole instrument with tremendous power, also plays long complicated runs smoothly (how hard that is to do, any pianist will tell you) and magically. The audience, which had come to pay homage, included many young people—always glad to see that–and he of course received the now-customary standing ovation–in this case, deserved. 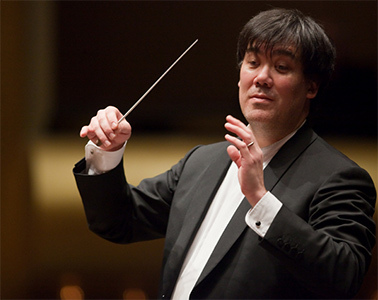 Alan Gilbert, not a great favorite of ours in general, seconded the soloist well on this occasion. What we found especially interesting were the first movement cadenzas written by Beethoven and showing an exploratory streak that the two concertos, glorious as they are, didn’t. The traditional cadenza occurs at the end of the first movement where the music comes to a halt on a 6/4 chord (don’t even ask) and the soloist takes off on a virtuoso ramble. 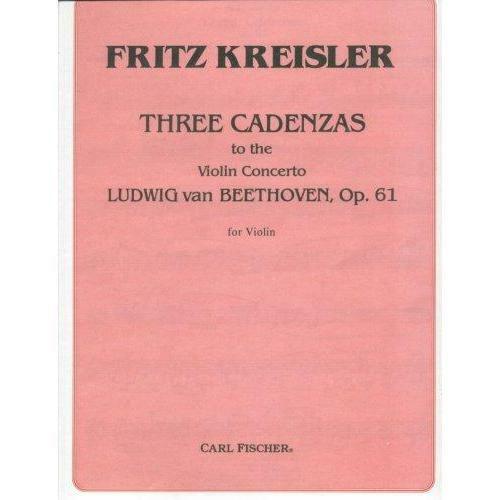 Prior to Beethoven, composers did not necessarily write their own cadenzas. There exist transcriptions of 14 Mozart cadenzas supposedly written down for his students, (see Neal Zaslaw) and about which musicologists still argue today. Did he just improvise the cadenza every time? he certainly could have. Did his widow send these transcriptions to his publisher to make a bit more money? possibly and who could blame her. In any case, Beethoven wrote several cadenzas to Mozart’s piano concertos and we can certainly continue the arguments about which serve the Mozart concertos better. For his Concerto #1, according to Jan Swaffer, Beethoven wrote three different cadenzas almost a decade later than the concerto and neither Rory or I remembered having heard this extended almost wild version. For Concerto #4, Beethoven himself wrote two cadenzas, and other composers and pianists jumped in, including Brahms, Busoni, Von Bulow, Wilhelm Kempf (see Wikipedia for a full list). If you look carefully at the discography, you can find some of these selected and performed by various pianists. 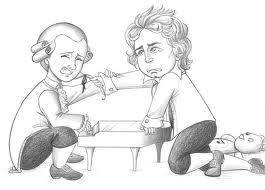 Being traditionalists, we preferred Beethoven’s although we have heard others and they are always interesting. It became kind of a cottage industry to write your own cadenza–sort of self-publishing from earlier days. And, today, composers and pianists like Glenn Gould still try their hand at it. Unfortunately, we sat facing the opposite balcony and had our choice of sitting straight and turning our heads 90 degrees to the stage, or sitting facing the stage and twisting our bodies. Either way, we both wound up taking Aleve. But it was worth it. NB Bronfman will be playing Beethoven Concertos 2 and 3 in June followed by #5, the Emperor, and the Triple Concerto in the next concert. 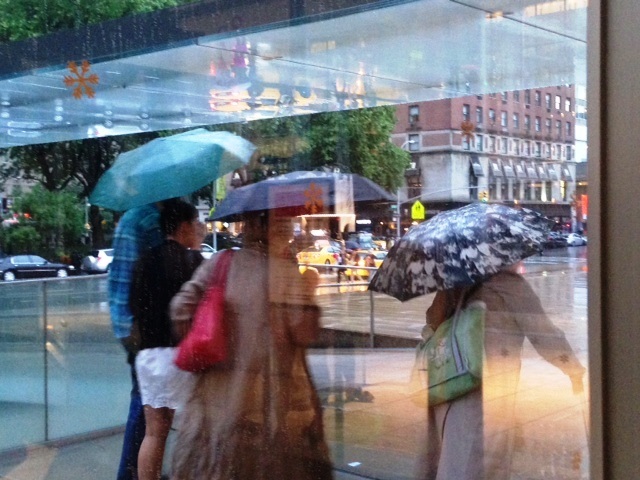 If you go to nyphil.org, you might be fortunate enough to snag a low-priced ticket. Good luck!